Large organizations transitioning towards Agile take the first step of hiring Agile coaches. Many business leaders would be under pressure to hire one as quickly as possible to speed up the process of Agile transformation. Many a times, due to this pressure, they end up making a mistake, hiring a wrong one. Based on my past experience working with large organizations and different coaches, I have put together the following 7 points to help business in making good decisions. Try working with 2 or 3 coaches before finalizing one. If you are planning a short term consulting role from a coach, then hire some one who has already built a good credibility as a coach. You may not have enough time to experiment. Ensure to have only one Agile coach on a project. Having 2 or more could end up wasting time/resources, as two Agile coaches rarely agree, especially if they are from different companies. Ensure, coaches have skin in the game. Ensure that Agile coaches know how to use available tools/technologies rather than just hung up on using Post-It notes. 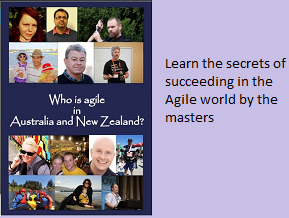 Let me share my own experience working with one of the best Agile coaches Craig Larman. While working with Craig, I noticed that, he not only used Post-it efficiently, Craig encouraged us to use different tools like Cling-on sheets, White boards, Flip-charts, Projectors,etc. Many Agile coaches nowadays don’t think beyond post-it notes. I have observed that newbie-coaches who are on contracting roles tend to buckle up under organizational pressure. They may not push for changes to happen. An Agile coach who fearlessly pushes for transformation is better. If you have hired an Agile coach, then observe the coach during their assignment for few days to understand their areas of strength. We've found that working as a duo strengthens our insight and helps us see the full picture more clearly.